New Delhi: Swine flu has claimed 47 lives, including 22 from Delhi, in the four central government hospitals in the national capital till date this year, officials said. These figures, however, contradict Delhi governments data, compiled from all hospitals, including the four central government hospitals, in the city, which puts the toll due to the H1N1 virus in the city at five, of which two are from Delhi. The Ram Manohar Lohia (RML), AIIMS and Safdarjung hospitals accounted for 95, 45 and 27 positive cases of H1N1 influenza respectively till date this year, of which 45 people have died. Besides these, the center-run Lady Hardinge hospital reported 30 confirmed cases of swine flu and two deaths between July 1 and August 16, a senior doctor said. According to RML Hospital authorities, of the 22 people who died due to the H1N1 virus, 13 were from Delhi while seven were from Uttar Pradesh and two from Haryana. A total of 195 people, including 117 from the national capital, was admitted to RML hospital with swine flu symptoms, out of which 95 tested positive, an official said. The AIIMS recorded 45 positive swine flu cases, out of which 12 people died, including four from Delhi, a senior official at the hospital said. The Safdarjung hospital saw 27 cases positive cases and recorded 11 deaths, of which five were from Delhi, a senior official of the hospital said. However, as per Delhi governments latest data, the total number of deaths due to swine flu this year stands at five which includes two from Delhi. 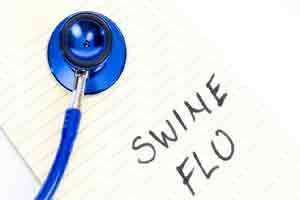 According to the data, the city has recorded 1,556 cases of swine flu. All the hospitals in the national capital, including the four central government hospitals notify the swine flu case figures and deaths to the Delhi government. H1N1 influenza, commonly known as swine flu, is a respiratory flu and has symptoms like fever, sore throat, headache, cough, runny nose, diarrhoea, nausea, and vomiting. Like other strains of the flu, H1N1 is highly contagious and spreads quickly from person to person. It was declared a pandemic in 2009 by the World Health Organisation.